The ULTRA DAMAGED anthology combines the two original issues from 1986 and 1987 with the new 2017 comeback issue, and also includes a long and exclusive interview with the creator himself. 118 large format (A4) Pages. 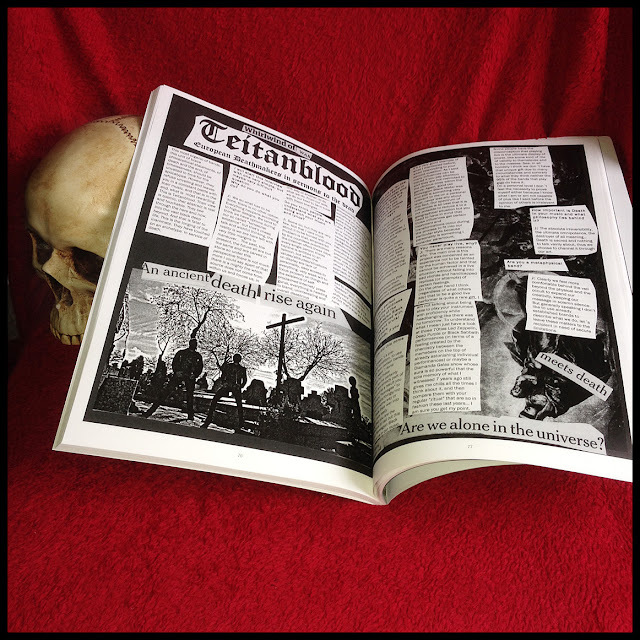 "Flipping through the pages of these old zines is like stepping into a time machine: it is a document of an era when Black Metal as we know it wasn't even a concept yet and when everything that was loud, fast and noisy was met with equal excitement and enthusiasm...But the truly outstanding and interesting parts are when you can tell that Maniac wrote about history in the making without even being aware of it." "...Most of these groups occupied death, black and thrash metal territory at a point in the music’s history where those subgenres were yet to be defined....this collection essentially evokes a simpler, less chaotic time, which makes it irresistible."